It’s been a while since I’ve written about a new band and a new release. Of late, my sights have been in the opposite direction: the past. Over the past several years, my collection has expanded greatly, but additions have predominantly had release dates anywhere from 5 to 50 years back. Case in point: if I search my collection for albums and singles released in 2017, it barely enters double digits. Two such releases just arrived earlier this week: the new LP and single by Australian indie pop band Last Leaves. Both releases are split between two labels, Australia’s Lost and Lonesome Records and the US-based indie-pop label Matinee Recordings. 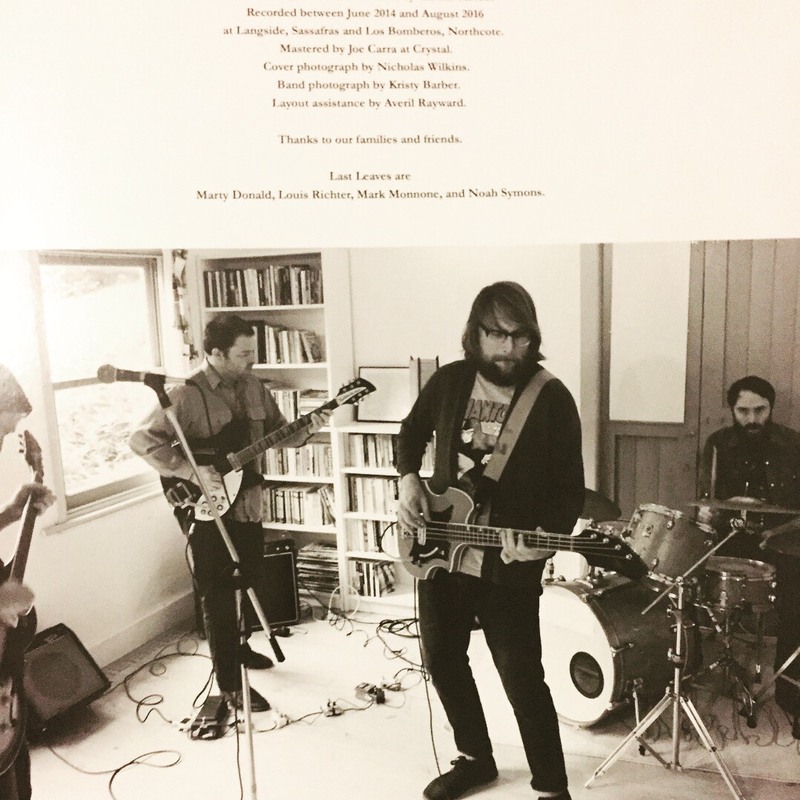 What immediately drew me to these new releases was the discovery that Last Leaves features a fair share of The Lucksmiths’ former lineup. 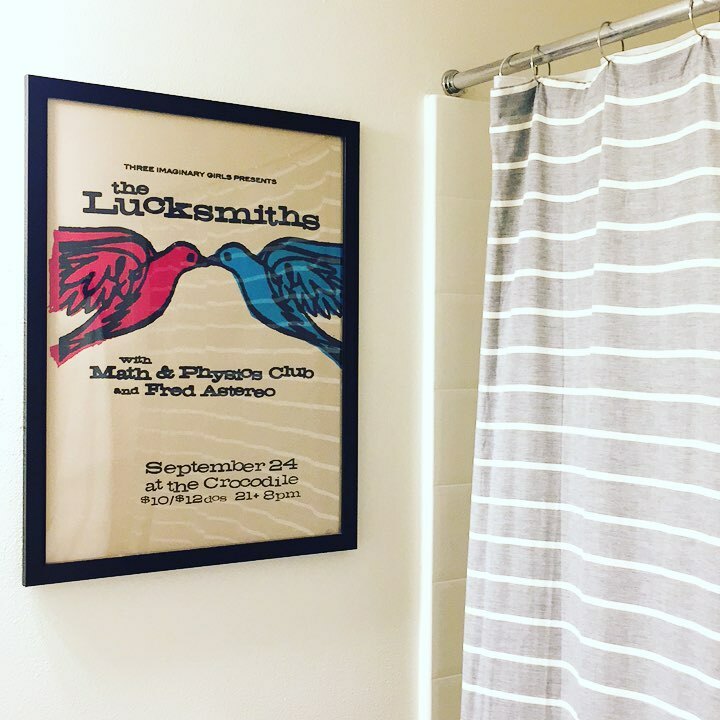 I’ve been a fan of The Lucksmiths for well over a decade. That sounds like a lot, but given their tenure it’s not. By that time, the band was starting to wind down after nearly a quarter century in existence. Just under two years later, they’d disband. 26 years; not a bad run. Over their two-and-a-half decade career, The Lucksmiths released a few dozen albums, EPs and singles packed with lovable, quirky indie pop. At times, it was full-fledged indie pop while at others it could be defined a little more along the lines of twee. To this day, one of my favorite records is their 1999 EP on Matinee Records, Staring At The Sky. Very much the twee side of indie pop, and a fair share of The Lucksmiths’ back catalog is like this. So how does Last Leaves stack up? Upon learning that Last Leaves‘ makeup somewhat mirrors (with one notable exception) that of The Lucksmiths, the first question that pops into my head is this: Does Last Leaves pick up where The Lucksmiths left off? I’ll answer that flat out right now: no. 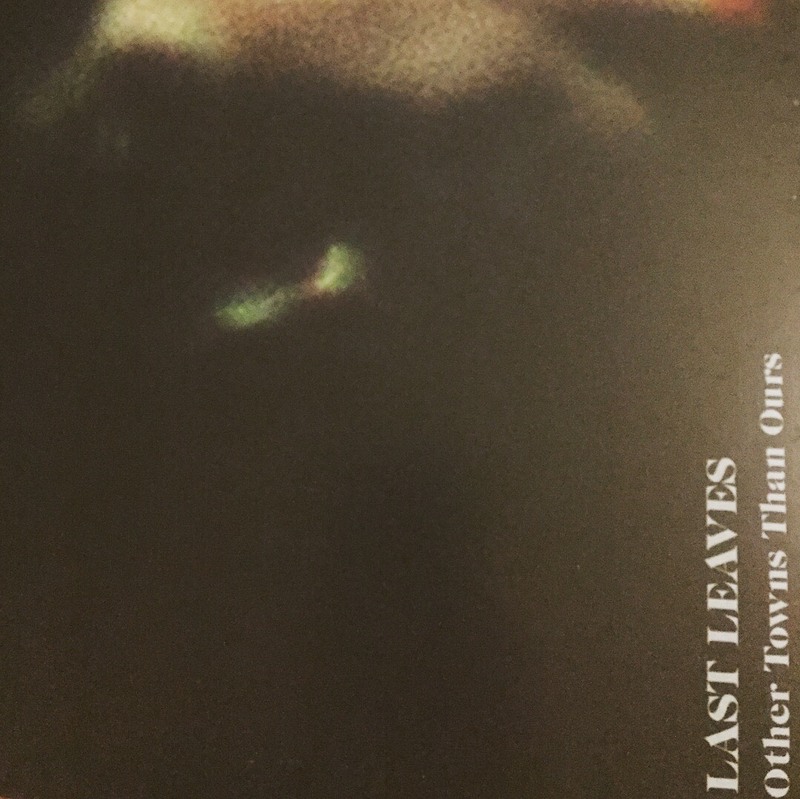 Last Leaves contains 3/4s of The Lucksmiths: Marty Donald takes on vocals while Louis Richter adds guitar and Mark Monnone plays bass. The omission is former vocalist and drummer Tali White. The band fills the percussive hole with drummer Noah Symons of Great Earthquake. Despite their makeup and overall similarities to The Lucksmiths at their demise, Last Leaves’ music is drastically different. It’s more melodic and has a slightly fuzzy edge to it, both elements that weren’t common in The Lucksmiths’ signature jangle. The vocals, too, have a more dreamy sentiment to them. And these lend to Last Leaves being a truly new band with a fresh sound on their new release Other Towns Than Ours. These traits are apparent from the start: opening track “Love and the World Well Lost” begins with a mellow guitar-meets-drums intro and softly pleasant vocals by Marty. Quite the opposite of what you get with a lot of jangle-pop bands. Even a song like “The Hinterland”, which has more indie-pop leanings, maintains stark differences from The Lucksmiths’ repertoire. In both these songs we hear Marty leading the vocal charge, but others join in to add elements of harmony. 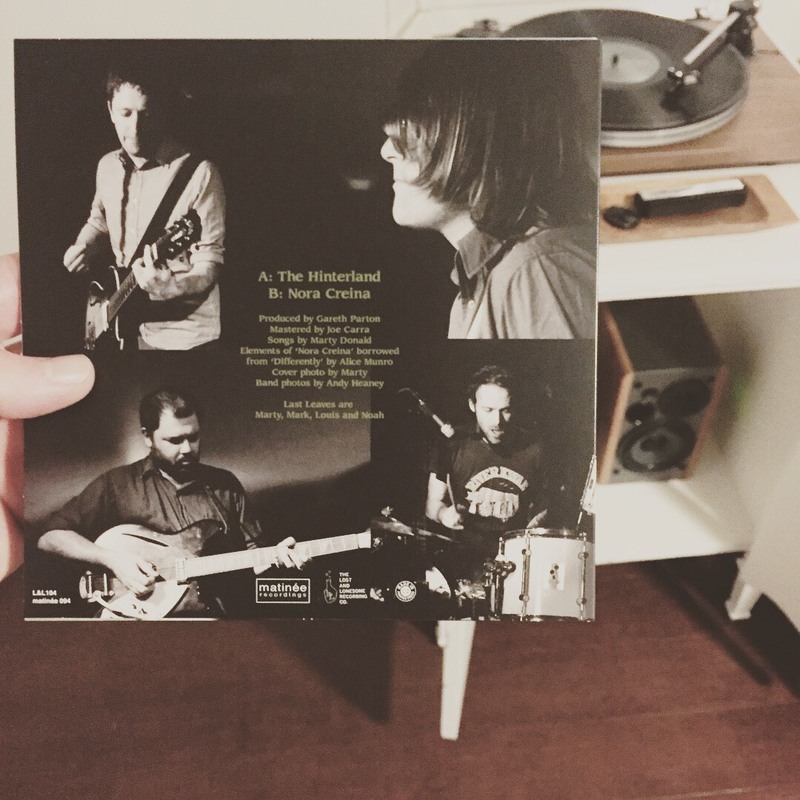 “The Hinterland” is the band’s first 7-inch, with the B-side being a non-LP cut “Nora Creina”. The song also received video treatment, which thematically appears to be a study in solidarity. Something I can relate to: comfort in being a bit of a homebody and the occasional loneliness that accompanies it. The fuzzy side of Last Leaves comes out in full force in “The World We Had”. Here, you hear the band lending backup vocals once again. There’s a scene at 1:45 in “The World We Had” where the band is looking down at a birdbath filled with fallen fall leaves. The focus shifts as they begin to look up, and into focus comes a microphone. This brief scene seems packed with symbolism, much of it surrounding the transition over the better part of the last decade from what The Lucksmiths was to what Last Leaves has now become: a phenomenal standalone indie pop band. Maybe it’s more collaborative; a cohesive unit with a new singer open to the concept of harmony vocals. Yes, Last Leaves may contain thee out of four members of The Lucksmiths, but there really is no comparing the two. For those die hard fans of The Lucksmiths out there much like myself, don’t let this leave you in dismay. Other Towns Than Ours is a great release, and a worthy successor for members of a band we so cherished. Other Towns Than Ours will get you excited to see what this band has in store for us next!